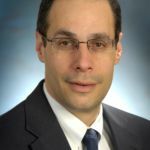 December 19, 2018 – NEWARK, NJ – Public Media NJ, Inc., operator of NJTV, New Jersey’s public television network, announced the election of Mike Poncia, Vice President of Customer Operations of Pepco Holdings to its Board of Trustees this month. Poncia joins two other recently-elected Trustees, Christopher M. Lepre of Horizon Blue Cross Blue Shield of New Jersey and Tracy McManimon of NJM Insurance Company, in expanding the Board that operates NJTV. As Vice President of Customer Operations, Mike Poncia is responsible for all aspects of customer service including meter services, billing, credit and collections, customer contact centers, and energy efficiency programs for more than two million energy customers. Pepco Holdings includes Atlantic City Electric in southern New Jersey, Delmarva Power in Delaware and Maryland, and Pepco in Washington D.C. and Maryland. Together, the company’s provided clean, safe, reliable and affordable electric and natural gas service to more than two million customers. Pepco Holdings is a subsidiary of Exelon Corporation, one of the nation’s leading energy services companies. Poncia has been in the energy industry for more than 30 years and has held leadership positions in a variety of areas. He has a bachelor’s degree and master’s degree in Civil Engineering from Drexel University. 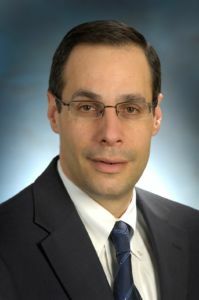 He was elected to the Board of PMNJ earlier this month. 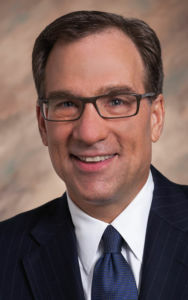 Christopher M. Lepre is Executive Vice President, Commercial Business, Horizon Blue Cross Blue Shield of New Jersey. As a key member of the Horizon BCBSNJ leadership team, Lepre views his work as a mission. He’s passionate about helping transform the health care delivery system so that it provides what employees and employers need most – access to affordable, quality care. 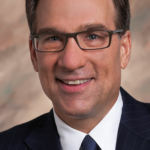 He leads the Commercial Business unit, and has end-to-end responsibility and full accountability for P & L performance related to the Commercial market segments which include more than 28,000 market group businesses, 2.8 million members of the 3.8 million members covered by Horizon BCBSNJ, $7.5 billion in revenue, the State Health Benefits Program and the Federal Employee Program. He is responsible for brand management, advertising, marketing, product development, sales and client management, broker operations, specialty products and services, contracts and underwriting. Lepre also leads the commercial Dental business and Horizon Casualty Services, Inc., an industry leader in providing administrative services to the workers’ compensation and personal injury protection (PIP) business sectors. He holds a BS degree in Business Administration and an MBA in Management from Wagner College. He was elected to the Board of PMNJ in May of this year. Tracy McManimon has served as Senior Vice President and Chief Underwriting Officer of NJM Insurance Company since April 2017. She joined NJM in 1986 as a Personal Lines customer service representative. Over the course of the next 30 years, she took on positions of increasing responsibility in underwriting, pricing, reinsurance and product development, culminating with her promotion in 2007 to Vice President. In April 2018, she was elected to NJM’s Board of Directors. 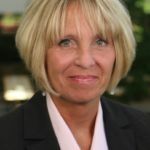 In her current role, McManimon leads NJM’s commercial and personal lines of business, which include the Garden State’s largest book of workers’ compensation insurance and the second largest book of personal auto insurance. 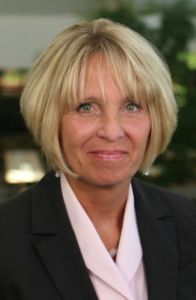 She also chairs NJM’s strategic planning efforts and is a member of the Company’s executive leadership team. Under her guidance, NJM’s dedication to customer satisfaction in personal auto insurance has been repeatedly recognized by national consumer publications, consistently ranking among the highest of any insurer in the country. She received her B.A. in psychology from Fairfield University in 1986. She was elected to the Board of PMNJ in May of this year. Additionally, PMNJ named Bernard Flynn, former President and CEO of NJM Insurance Company, as its first Trustee Emeritus. Flynn served on the PMNJ Board from 2011-2018 prior to his retirement. Lepre and McManimon and Poncia join the existing members of PMNJ Board, which consists of Weston, former CEO of Automatic Data Processing, Inc. (ADP); Vice-Chair Anthony Bastardi, CEO of Strategic Development Group, Inc. and its affiliate, Construction Technology Corporation; Vice-Chair Liz Thomas, co-founder/CEO of Thomas/Boyd Communications; Thomas Bracken, President and CEO of New Jersey Chamber of Commerce; Peter J. Cocoziello, President & CEO, Advance Realty; Brett E. Dearing, Senior Director, Wealth Management Services, BNY Mellon; Sue Henderson, Ph.D., President, New Jersey City University; The Honorable Thomas H. Kean, Former Governor of New Jersey; Scott Kobler, Partner, McCarter & English, LLP; Ann Limberg, Head of Philanthropic Solutions and the Family Office U.S. Trust, Bank of America Private Wealth Management; Barry H. Ostrowsky, President and Chief Executive Officer, Barnabas Health; Neal Shapiro, President/CEO of PMNJ and its parent, WNET; and Robert L. Smartt, Retired, Deputy State Treasurer, NJ Treasury Department.